Do you want to buy a giclee print on cotton canvas of this artwork from George Morland ? For just a little more than a print you can have a hand made reproduction of a painting of George Morland. First shown at the Royal Academy when only 10, this true genius had a colourful but tragically short life. 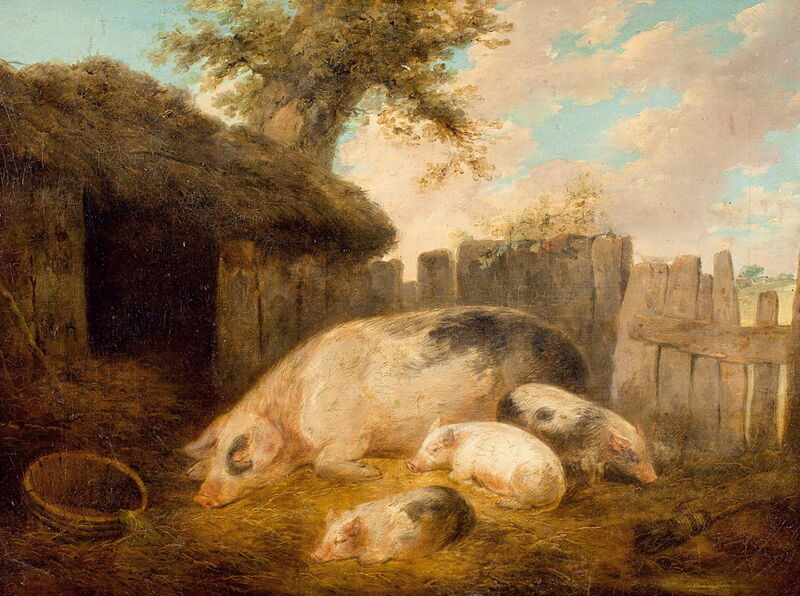 18th Century Farm Painting - www.topsimages.com - top for images! , we beleive we are the top site for images!